This topic contains 2 replies, has 3 voices, and was last updated by Slam_Donck 1 week, 1 day ago. Buried below the surface of a vacant lot on Spuyten Duyvil Hill lie the remains of a fort from the Revolutionary War–a potential archeological treasure that could soon be lost to the developer’s bulldozer. Known as Fort No. 2 or Fort Swartwout, it was one of a string of fortifications laid out by Washington in 1776 to protect the strategic bridges to Manhattan that were located in Kingsbridge. After the Patriots fled New York City, the fort was garrisoned by Hessian soldiers. 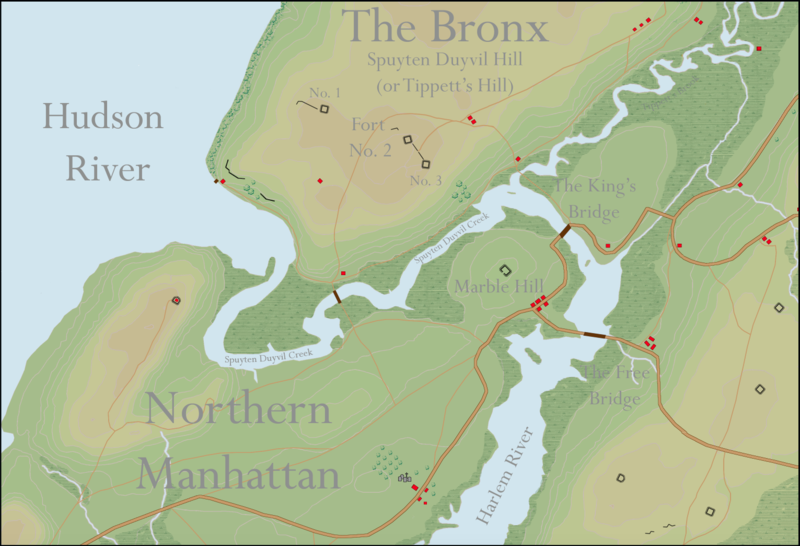 In 1781, Generals Washington and Rochambeau would return to the spot to study and map British positions on Manhattan. A cursory archeological dig on the site in 1910 unearthed many artifacts and confirmed its location. Between then and now, no building foundations were dug on the site so there is great archeological potential. As we approach the 250th anniversary of the Revolution, it would be unfortunate to lose a site with so much to teach the public about New York’s relevance to the Revolution. The land has just recently been cleared of trees and plans were announced to build three single-family homes on the site. The leadership of the Kingsbridge Historical Society has a keen interest in saving whatever can be preserved and we are monitoring the situation closely. 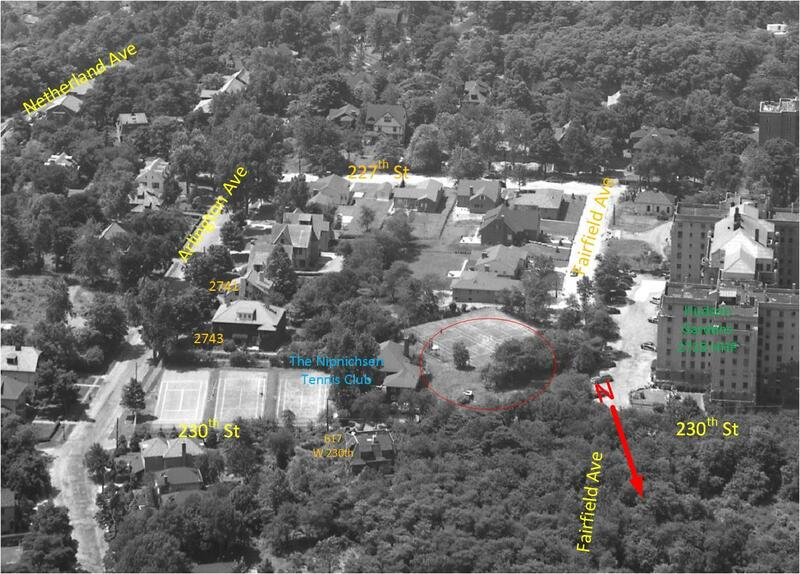 I grew up in the 60s and 70s on Arlington Avenue with the abandoned Nipnichsen tennis club as an extended backyard. From the looks of it, Fort No 2 was 50 yards from our backyard. If only we had known back then. “The Nip” was an anything goes kind of place. The owners showed little interest, and the city couldn’t even track them down when it decided to bulldoze down the fire damaged clubhouse in 1973. Kids in the area dug holes, set fires, built forts, set off fireworks. No one (other than parents) seemed to care. There was a wild west feel to the place. It would have been easy to just start digging and see what turned up. Now it is likely too late. I posted a history of The Nip, from 1910-2000 on the FB RIVERDALE NEW YORK MEMORIES page, but did not delve at all into the Fort #2 aspect. Here’s a version of a diagram I made for the FB post using a 1951 aerial view. I’ve circled the spot you describe as the location of the fort. nipnichsen…soundslike an indian name but it could be dutch. Either way, certainly memorable.